Analysts forecast the global solar tracker market to grow at a CAGR of 17.2% over the period 2014 - 2019. Advancements in solar tracking technology are focusing on the efficient use of materials and, thereby, increasing reliability. For instance, the combination of highly advanced actuation systems for north-south solar tracking and rotary drives for east-west solar tracking is a recent technological accomplishment in the market. Use of technology increases the efficiency of the panel which ultimately boosts the overall output of the solar power plants. Complete report on solar tracker market by application (utility and non-utility segment), technology (PV, CSP and CPV segments), by product(single-axis and dual-axis) and by geography spread across 63 pages, analyzing 5 major companies and supported with 32 data exhibits is now available at http://www.sandlerresearch.org/global-solar-tracker-market-2015-2019.html. The following companies are the key players in the Global Solar Tracker Market: All Earth Solar, Deger, First Solar, Haosolar and Mecasolar. Other Prominent Vendors in the market are: Abengoa, Amonix, Helio Power, Smart Trak and Trabant Solar. According to the Global Solar Tracker Market 2015 - 2019 report, the use solar trackers improve the efficiency of solar power plants. A single-axis tracker increases the output of a solar power plant by a minimum of 30%-35% whereas dual-axis trackers increase it by an additional 6%. The single-axis tracker with horizontal axle is primarily used in tropical regions, where the sun is high at noon and days are short. The vertical axle is installed in high latitude regions where the days are long, and the sun doesn't get high. Improved efficiency of solar power plants will boost the market for solar trackers during the forecast period. Further, the report states that high maintenance and installation costs will restrict the growth of the solar tracker market. The report covers the current scenario and the growth prospects of the global solar tracker market for the period of 2015-2019. To calculate the market size, the report considers revenue generated from the sales of solar generators. The report, Global Solar Tracker Market 2015-2019, has been prepared based on an in-depth market analysis with inputs from industry experts. The report covers the Americas, APAC, and EMEA; it also covers the landscape of the market and its growth prospects in the coming years. The report includes a discussion of the key vendors operating in this market. 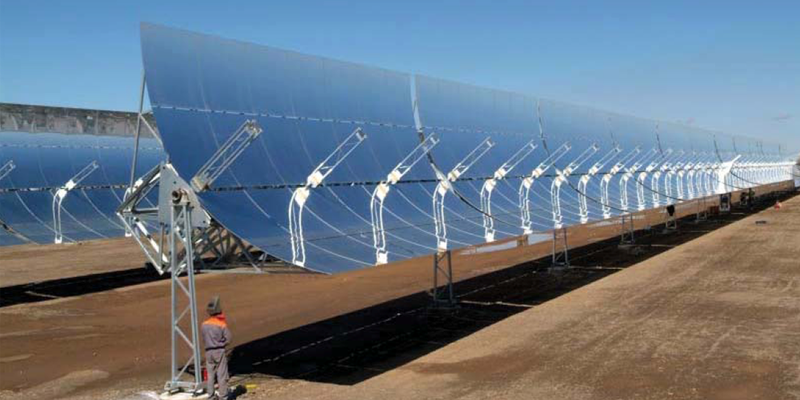 Order a copy of Global Solar Tracker Market 2015 - 2019 report at http://www.sandlerresearch.org/purchase?rname=44367. On the same line other related report Global Solar Collector Market 2015 - 2019 says this market will grow at a CAGR of 24.9% over the period 2014 - 2019. Storing solar energy using a solar inverter system is a major trend in the market. The solar inverter system that incorporates storage facilities enables power grids to supply power on a continual basis with fewer interruptions. According to the Global Solar Collector Market 2015 - 2019 (http://www.sandlerresearch.org/global-solar-collector-market-2015-2019.html) report, enhanced government support is a prevailing driver in the market. Governments worldwide are providing subsidies like investment tax credits and other tax benefits to encourage the use of solar collectors and to encourage investment in technologies related to renewable energy generation. Further, the report states that the demand for solar collectors depends heavily on the availability of sunlight, which may pose a threat to the market growth, as the intensity of sunlight is prone to seasonal and daily fluctuations. The following companies as the key players in the Global Solar Collector Market: Hewalex, MainFrame Energy Solutions Pvt. Ltd., Solar Skies Mfg. LLC, SunMaxx Solar Inc. and TVP Solar SA. Other Prominent Vendors in the market are: Alternate Energy Technologies, Aora Solar, KYOCERA Solar, Novatech Solar, Rackam and Skyfuel. The report covers the present scenario and the growth prospects of the Global Solar Collector market for the period 2015-2019. The market is segmented on the basis of: technology (non-concentrating & concentrating) and geography. Explore more reports on energy and power markets at http://www.sandlerresearch.org/market-research/energy-power . SandlerResearch.org offers in-depth studies and research reports on a range of micro markets. Not limited to any one industry, SandlerResearch.org offers research studies on agriculture, energy and power, chemicals, environment, pharmaceuticals, biotechnology, water, advanced materials and much more.